Bentley Flying Spur Performance, Engine, Ride, Handling | What Car? If you’re considering a Bentley Flying Spur, there’s a reasonable chance you plan to be driven around in it by someone else, so the quality of the ride is vital. Things start off well, as all Flying Spurs come with self-levelling air suspension and damping control. There’s also the option to toggle between different settings to adjust the firmness of the ride to different types or driving. The trouble is, whichever setting you choose the Flying Spur doesn’t ride as smoothly as you’d expect a luxury limo to – particularly at low speeds. It can occasionally get caught out and thud over larger indiscretions, particularly if you opt for really big alloys, although at least comfort on the motorway is good. 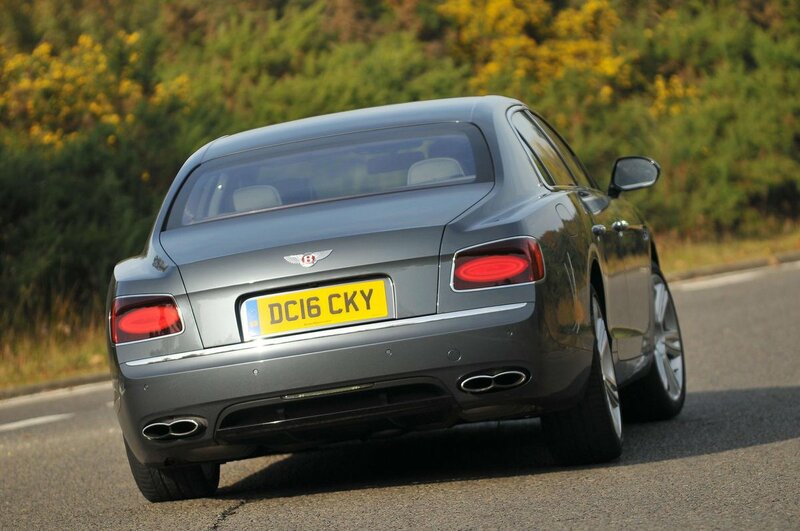 Being just shy of three tonnes obviously means the Flying Spur isn’t particularly nimble. It has a tendency to lean in a similar fashion to a large SUV, and doesn’t like being asked to change direction quickly. The steering transmits a reasonable amount of feedback to your fingertips, but is fairly slow meaning you have to apply quite a lot of lock to get around tight bends. The sportier Flying Spurs - the V8S and W12S - are designed to be better driver’s cars; both have recalibrated suspension that’s designed to reign in body movements, improve agility and give you more confidence through corners. The differences are relatively small (don’t expect the Flying Spur to suddenly transform itself into a Porsche 911) but at least ride comfort doesn’t suffer too much. There are two engines to choose from: a 6.0-litre W12 and a 4.0-litre V8. Both are a joy, thanks to their ability to quietly warble away at cruising speeds, while half of their engine cylinders are deactivated to help increase fuel range. 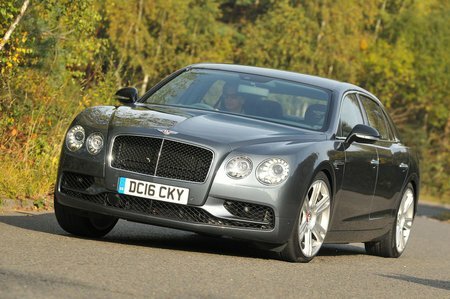 Prod the throttle, though, and the W12 roars into life, although the cheaper is actually smoother and sounds sweeter. Either way, it’s the engines’ dual personalities that make them stand out from equivalent Rolls-Royces, which are hushed by comparison. The V8 S and W12 S both use the same engines as their lesser stablemates but have been tuned to produce a bit more power. No matter which Flying Spur you choose acceleration is never in short supply, with a massive amount being available from as low as 1500rpm. The eight-speed automatic gearbox shifting seamlessly between ratios also impresses. The Flying Spur’s girth makes it a tricky car to thread through narrow streets, while its sheer length also means it’s a bit unwieldy. However, light steering at low speeds makes manoeuvring simple enough, while it will (just about) fit in your average supermarket car park space.